PARLEAM® is odorless polymer oil for cosmetics. 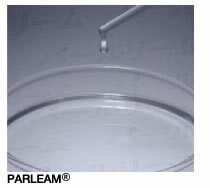 PARLEAM® (POLYSYNLANE) is a colorless, odorless, tasteless and highly refined isoparaffinic liquid. PARLEAM® is listed on CTFA as "Hydrogenated Polyisobutene". Also authorized as "Liquid Isoparaffine" in the "Japanese Standards of Cosmetic Ingredients (JSCI)". Its features such as colorless and odorless make it compatible with materials used in perfumes, cosmetics, other makeup products and sanitary products. PARLEAM® is chemically inert and comparatively stable when it is exposed to light and oxidation. The lightest grade in PARLEAM® series is used in hair products, and is also applicable as a sunscreen lotion. 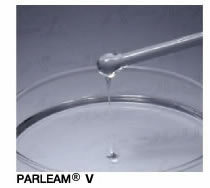 Low viscosity grade in PARLEAM®series. The product has soft, and fresh touch, and is the best choice for skin and hair care such as lotions and skin creams as well as make-up cosmetics and ointments. The standard grade in PARLEAM® series has a similar physical and chemical properties as Squalane. The product is widely used for skin and hair care such as lotions and skin creams as well as make-up cosmetics and ointments. Widely used as a cosmetic ingredients especially for Hair, Lip-stick, Lip-gloss, color-cosmetics. Skin irritation closed patch tests were conducted on 51 subjects in good health. No effects on the skins of all subjects were observed within 24hrs, which means, no primary irritations were recognized. Moreover, the product was compared with Squalane by conducting skin irritation closed patch tests on 25 healthy subjects. The results after 72hrs of observation were negative, the same result as Squalane. No primary irritations were found. Allergenic and sensitization effect tests were conducted on 207 subjects in good health in comparison to Squalane. Closed patch tests on the upper part of the back of each subject were carried out 10 times during a period of three and a half weeks to observe allergenic reactions. Furthermore, after a 14-day rest, the 11th application was performed to examine sensitization. On both examinations, the results after 48hrs showed no allergenic and sensitization effect on human.